The digital age offers local governments unprecedented possibilities to engage with residents in novel ways. Cities across the globe are using digital tools, such as web portals and applications (apps), to improve access to public services, enhance responsiveness, better understand the needs of the populations they serve, and provide platforms for deeper civic engagement. Going digital has the potential to fundamentally transform the relationship between citizen and government, but what of those on the periphery of social, economic, and political life? Research has shown that disadvantaged groups, including immigrants and minorities, are high users of smartphones and social media, and could theoretically be reached through these tools. Newly arrived immigrants are some of the most vulnerable in society and are often in need of support settling in and connecting to information about local services and jobs. However, these groups are often thought to be digitally, as well as socially excluded, and the move by governments to online platforms could exacerbate existing barriers to accessing public services. Furthermore, these groups may lack the necessary digital skills and host-country language ability to take full advantage of digital government services. This article examines digital developments in New York City, London, and Barcelona—“smart” cities at the forefront of the digital-governance revolution that are also home to large immigrant populations. Based on interviews with city officials, local nongovernmental organizations (NGOs), academics, business practitioners, and experts on immigration and digital inclusion, the article analyzes city efforts to capitalize on the new opportunities offered by digital technology to reach immigrant communities, and explores the efforts of municipal governments to ensure that no one is left out of these technological shifts. The digital divide refers to a gap in access, usage, and knowledge or skills to utilize information and communications technology (ICT) between individuals, households, businesses, and geographical areas at different socioeconomic levels. The paradox of the digital divide lies in the fact that those who stand to benefit the most from digital initiatives, namely low-income and low-skill individuals, are least likely to have access to electronic services. In an age when plugging into the digital world is an increasingly vital component to social integration, governments are beginning to develop ways to bridge the digital divide and enable vulnerable groups to take full advantage of ICT. There has been sparse investigation to date, however, on the merits of using digital tools for integration or how digital-inclusion efforts can affect immigrant populations. Cities serve as epicenters for immigration and hubs of innovation in digital governance; some have developed digital-inclusion strategies aimed at reducing the digital divide and thus helping integration efforts. Although many initiatives are in the early stages of development and some still fall short of adequately addressing immigrant needs, they may pave the way for future progress in this field. This article aims to compare the ability of municipal digital initiatives to support the social integration of immigrant populations by evaluating how digital strategies address the following dimensions: language barriers, access and development of digital skills, and monitoring and evaluation of digital projects. Policies at the national and local levels are also discussed, where they exist. New York City has developed a solid platform of digital tools to support immigrant integration, championed primarily by its policy of offering city services in a range of languages other than English and other language-access outreach. A historic center for immigration, as of 2013, 37 percent of New York City’s population was foreign born and almost 60 percent of city residents either immigrants or the children of immigrants. The city is a leader in language-access programs. The pioneering Executive Order 120 passed in 2008 established a centralized language-access policy, requiring all city agencies that offer direct public services to provide access in languages other than English—thereby improving access to city services for the one-quarter of residents with limited English proficiency. This policy spawned the NYC Language Gateway, a central online portal containing translations of city documents addressing topics such as education, employment, health, and housing. Beyond the provision of public documents, Executive Order 120 set a precedent for considering language access in all city digital platforms. For example, most New York City websites are now formatted to employ Google Translate services. The jewel in New York City’s digital-access crown is NYC 311—an interactive, online self-service system available in 50 languages (170+ through its call center). NYC 311 allows all New Yorkers to submit service requests, file formal complaints with the city, and access public information. The confidentiality of the service and the anonymity granted by online interaction may encourage use by immigrants of all status who need not fear reprisals or drawing the attention of authorities. It is also well equipped to dispense immigrant-specific information to access municipal and social services, such as citizenship assistance or the relevance of immigration status when it comes to using health-care services. The city has also addressed broadband access among vulnerable immigrant communities. The NYC Connected Communities program established public computer labs across the city, targeting low-income and Limited English Proficient (LEP) individuals. Connected Communities promotes effective usage of the internet, offering extensive digital-literacy training with an emphasis on job readiness. Public wi-fi projects are also present throughout the city, including immigrant-rich neighborhoods such as Harlem and the Bronx. Despite New York City’s solid foundation in digital outreach, there remains room for improvement. Individual agencies are still largely responsible for their own engagement of immigrant communities, digital and otherwise. While Executive Order 120 requires agencies to provide LEP individuals with practical access to city services, the order does not mandate consistent digital outreach. Recently there have been efforts to address this by introducing a system of internal checks for continued improvement. The Mayor’s Office of Immigrant Affairs (MOIA) and Office of Operations implemented a language-access complaint procedure through NYC 311, allowing immigrants to report when agencies are not providing resources in their language. MOIA is also currently developing a set of integration metrics to improve accountability measures for the city overall. Much of the success of New York’s digital initiatives in regard to immigrant integration spawns from consideration of immigrant communities on a policy level. Challenges consist of maintaining and evaluating digital outreach to immigrant communities, including operational issues such as fixing broken hyperlinks on city websites and updating information. London has yet to develop a solid platform of digital tools to support immigrant integration, but is moving towards a comprehensive digital-inclusion strategy underpinned by national government policies. London is home to a large and growing immigrant population. In 2013, approximately one-third of its population of 8.6 million people were born abroad, of whom one-quarter had arrived within the preceding five years. Unlike New York, London has not developed language-access policies for non-native English speakers. London has taken a different approach, joining the national government’s wider commitment to promoting digital inclusion for the entire population. The government’s aim is to get as many people online as possible by promoting both access and the development of digital skills. Immigrants are included within the policy’s wider remit, but not explicitly mentioned. Digital inclusion has been a priority for the United Kingdom since April 2014 when the government launched the Digital Inclusion Strategy to help more people get online. Its ambitious aim is that “by 2020 everyone who can be online will be.” In January 2015, the London Mayor’s Office released a report entitled A Digital Inclusion Strategy for London, the first of its kind among UK regional governments. It reinforced the city’s commitment to ensuring that as many people as possible are able to take advantage of the digital age both for personal needs and to access city services. This is to be done mostly through community outreach programs to encourage ICT-skills development, and public-private partnerships to promote access to digital services. Digital-skills initiatives are delivered through local council partnerships with community and private-sector stakeholders. Lambeth Council, for instance, has partnered with London charity Thames Reach to deliver the digi-buddies program, an information technology (IT) peer support project. Digi-buddies fights social and digital exclusion by recruiting volunteers with strong IT skills to support residents with online activities such as setting up email accounts, applying for jobs, using social networking sites, buying goods, and accessing services. Many of the services they offer target vulnerable populations including the elderly, immigrants, and people on low income. Similar initiatives have sprung up across London. Free IT-training courses are offered by multiple local councils, such as Camden and Southwark. A range of NGOs and nonprofit organizations also help foster digital inclusion, some with a particular focus on immigrant communities. The Migrants Resource Centre (MRC) offers computer and English-language classes to support migrants, refugees, and asylum seekers, with the goal of working directly with individuals to help them integrate. The issue of access is addressed mostly through free wi-fi provision around London, especially in public places like squares and parks, and more recently, in most public buildings. City government partnerships with private providers are often behind these schemes. Immigrant integration has not been an explicit feature of the digital-inclusion strategy in London or nationally. However, a wide number of organizations are participating in the digital inclusion push to reach as many people as possible including local authorities, housing associations, and the community and voluntary sectors. Even without specific focus, it is likely immigrant communities will indirectly benefit from these digital-inclusion initiatives. While going digital has been a priority for the London and UK governments for some time, the focus on digital inclusion is much more recent. There is still a long way to go before the success of digital-inclusion policies and their effect on immigrant groups can be evaluated. The city will need to continue to address additional obstacles, such as language barriers and lack of sustainable funding for digital initiatives, in order to make its digital strategy more comprehensive. Barcelona is a leader in digital governance but does not yet support immigrant integration directly, although information provision online is a promising step. Immigrants comprised 17 percent of Barcelona’s population in 2014. Although a smaller city compared to New York and London (and with a smaller immigrant population), Barcelona has made a name for itself as a hub for digital innovation. The city of Barcelona has developed an impressive digital capacity by combining mobile government with e-services, e-procurement, and e-administration. The aims of the city’s digital initiatives, according to the Barcelona City Council, are to simplify access to administrative services, and encourage social inclusion and civic engagement among residents. Since its creation in 2005, the municipal website www.bcn.es has morphed into an expansive platform offering a variety of e-services, information, and transaction opportunities for the public. It is the most visited website in Europe, according to the Alexa Ranking. Another municipal webpage—Nova Ciutadania BCN Inmigració (New Citizen)—is dedicated exclusively to information provision for immigrants. The website provides a broad range of information including legal advice, social services, culture, and labor-market training. Barcelona’s most noteworthy initiative in the digital governance realm is Apps4Bcn, a city-sponsored website of mobile apps available for free public download. More than 400 apps are featured on the Apps4Bcn website, ranging from pharmacy locators and government information provision, to those promoting access to online municipal public services, which could be useful for immigrants. Applications featured on Apps4Bcn could support integration efforts by connecting immigrants to employment opportunities or by helping the newly arrived find a local doctor. While the municipal government has developed a series of action plans on immigrant integration to promote cultural acceptance, recognition of diversity, and social cohesion, there are no direct linkages to its digital initiatives. Immigrants’ ability to utilize Apps4Bcn is contingent on their knowledge of Spanish, Catalan, or English (the only languages offered). Language barriers continue to be a hindrance, though some important health information on the Nova Ciutadania webpage is offered in Arabic, Chinese, French, Russian, and Urdu, reflecting the city’s largest non-Spanish speaking groups. Barcelona Wi-Fi, a Barcelona City Council service of more than 700 wi-fi hotspots around the city enables people to connect to the internet for free. This is an attempt by the municipal government to bridge the digital divide in access, which could benefit immigrant communities. The city government does not focus on ICT-skills development, but civil-society organizations and local NGOs often fill this gap. El TEB, a prominent local association, promotes social inclusion of young people through ICT by providing technological resources and training workshops for youth, and is accessible to young immigrants. Barcelona has developed an impressive digital-governance capacity that reaches a wide segment of the population through the internet and mobile applications. However, the city’s sparse incorporation of language translation in digital platforms does not further its ambitious plans to encourage social inclusion and civic engagement among residents. Civil society organizations are stepping in to close the digital divide, and the city will likely need a more solid foundation in digital outreach to facilitate immigrant integration through technology. City governments are far from alone in seeing the potential of digital strategies to connect with populations that may be underserved or face barriers to access services. With Europe struggling to absorb huge numbers of asylum seekers and migrants, many of whom have had perilous journeys and face language and other barriers, web-savvy citizens, nongovernmental organizations (NGOs), and others have demonstrated significant creativity in the use of digital technologies to assist the newcomers with information about reception, accommodation, integration, and employment. 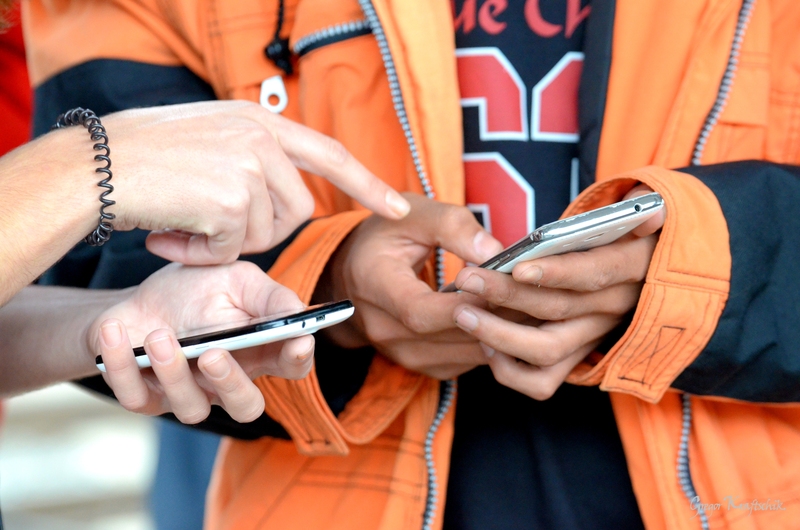 Smartphones, and the access to social media and applications (apps) they offer, act as lifelines for many asylum seekers, who rely on them for information ranging from the use of Google Maps to plot safe routes to the real costs of goods and services along the journey. This reliance on smartphones has created unique opportunities for the development of socially innovative technology to deliver assistance. A Berlin-based NGO, Refugees Welcome, created a website that quickly became known as an “Airbnb for refugees,” matching willing hosts with individuals needing shelter. Indeed, it was so popular that the site quickly crashed, and the NGO struggled to keep up with offers of help. In the German town of Dresden, local tech companies created the “Welcome to Dresden” app, providing information and advice for refugee newcomers in Arabic and other languages. And the UK tech community has been actively responding to the crisis with the creation of TechFugees. A grassroots initiative of engineers, entrepreneurs, and startups using hackathons and conferences to strategize, TechFugees coordinates and harnesses the development of new technologies to aid refugees. Attuned to the migrants’ digital needs, humanitarian groups are providing wi-fi hotspots and charging stations in addition to food, clothing, and shelter. In order to protect refugees from unscrupulous smugglers who give misinformation or locals who engage in price-gouging, some aid stations, such as Miksaliste in Serbia, have set up their free wi-fi networks so that when refugees log on they are redirected to a page that lists the correct costs of taxis, toilet locations, places to buy food, and other useful information. Technology can also help asylum seekers develop new skills or match existing skills to the labor market. Busuu, an electronic language-learning platform, is offering free German and English language courses for Syrian refugees. On the website www.workeer.de employers in Germany can post jobs and migrants can upload their resumes. Another German initiative, “Refugees on Rails,” which unlike the others has corporate sponsorship, is creating a coding school for refugees in Berlin with donated laptops. Though government initiatives have been limited to date, the Scottish government and Scottish Refugee Council website, “Scotland Welcomes Refugees,” offers an interesting example. The site coordinates interested volunteers and donors with respective refugee-supporting organizations. And Sweden’s innovation agency, Vinnova, is offering more than 1 million euros for social innovations to support refugees and integration. Digital technology is likely to play an increasingly pivotal role at every stage of refugee assistance, particularly as access to smartphones and the Internet becomes more affordable and widespread amongst both refugee and host populations. Sources: Central Intelligence Agency, “The World Factbook – Syria,” updated September 4, 2015, available online; Zach Dubinsky, “For Syrian refugees, smartphones are a lifeline – not a toy”, CBC News, September 12, 2015, available online; Jessica Elgot, “‘Airbnb for refugees’ group overwhelmed by offers of help,” The Guardian, September 1, 2015, available online; Rob Price, “Google Maps is putting Europe’s human-traffickers out of business,” Business Insider, September 9, 2015, available online; Busuu, “#germanforrefugees–Busuu offers free German & English courses for Syrian refugees,” accessed November 8, 2015, available online; TechFugees, accessed November 8, 2015; Workeer.de, accessed November 8, 2015; Refugees on Rails, accessed November 8, 2015; Scotland Welcomes Refugees, accessed November 8, 2015; Vinnova, “Ny satsning på innovation ska ge säkrare flyktvägar” [New investment in innovation will provide safer escape routes], press release, September 22, 2015, available online. Recent developments in information technology have revolutionized people’s ability to engage with government and for government to respond to their needs. There is no question that information and service provision online is improving people’s lives. The debate is no longer about whether these services should exist, but rather how they should be more effectively tailored to meet the needs of different groups in society. Technology can provide a platform for deeper inclusion and engagement of those who remain on the periphery of social, economic, and political life. However, digital services that fail to incorporate language translation risk rendering these platforms inaccessible for marginalized groups, such as immigrants. Digital policies that do not prioritize developing ICT skills alongside service provision cannot be expected to reach the entire population. Civil-society organizations have often been willing and able to fill in the gap. Government digital strategy must take into account the needs of different groups and evaluate how well they are being met in order to address the digital divide and improve service provision. The trends in New York City, London, and Barcelona indicate that digital public administration will continue to be the way forward for many municipal and national governments. Each has taken a different approach to developing its digital capacity and while all three are impressive, only New York has explicitly considered immigrant integration. A comprehensive strategy on integration through digital technology does not yet appear to be a priority in any city. At the same time, recent developments in reaction to the refugee crisis in Europe demonstrate the relevance of technology in helping to facilitate responsiveness and integration. These initiatives present exciting opportunities for the future as cities seek to capitalize on the potential of the digital era. Barcelona City Council. N.d. The City of Barcelona. Accessed January 10, 2015. Available Online. Barcelona City Council, Department of Statistics. N.d. Evolución de la población extranjera de Barcelona, 2005-2014 [Evolution of the Foreign Population in Barcelona, 2005-2014]. Accessed November 12, 2015. Available Online. Benton, Meghan. 2014. Smart Inclusive Cities: How New Apps, Big Data, and Collaborative Technologies are Transforming Immigrant Integration. Washington, DC: Migration Policy Institute. Available Online. Breeze, Nick. 2015. Customer Insight Manager, UK Government Digital Service. Personal interview with Divia Mattoo. London, February 19, 2015. City of New York. 2013. New York City, Cablevision, and Time Warner Cable Launch Public Wi-Fi in 32 Parks Across the Five Boroughs.” Press release, July 16, 2013. Available Online. City of New York, Department of Information Technology & Telecommunications (DOITT). N.d. About DoITT - Language Gateway and Access Plan. Accessed December 10, 2014. Available Online. City of New York, Mayor’s Office of Immigrant Affairs (MOIA). 2013. A Blueprint for Immigrant Integration. New York: City of New York, MOIA. Available Online. ---. N.d. Constituent Facts & Maps. Accessed December 14, 2014. Available Online. Greater London Authority. 2015. A Digital Inclusion Strategy for London. London: Greater London Authority. Available Online. Hurd, Nick. 2014. Digital Inclusion Strategy: Helping everyone to get online. News release, April 14, 2014. Available Online. Lobo, Arun Peter and Joseph J. Salvo. 2013. The Newest New Yorkers-2013 Edition. New York: City of New York, Department of City Planning. Available Online. Martinez, Dorian. 2014. Could you become a Lambeth Digi-buddy? Lambeth Council. Updated July 11, 2014. Available Online. Organization for Economic Cooperation and Development (OECD). 2005. OECD e-government studies: México. Paris: OECD. Available Online. ---. 2013. Understanding the Digital Divide. Paris: OECD. Available Online. Rienzo, Cinzia and Carlos Vargas-Silva. 2014. Migrants in the UK: An Overview. The Migration Observatory. Updated December 19, 2014. Available Online. U.S. Department of Commerce, National Telecommunications & Information Administration (NITA). 2000. Falling Through the Net: Toward Digital Inclusion. Washington, DC: Department of Commerce. Available Online.